The issue of secret evidence rose again in the Courts last month in the case concerning Abdul Hakim Belhaj and his wife Fatima Boudchar. Belhaj was kidnapped with his wife, who was pregnant at the time, in 2004 at Kuala Lumpur International Airport, Malaysia. They were then transported by plane to Bangkok, after which they were placed in custody of the CIA at a secret prison at the airport. Eventually the couple were returned to Libya where he was held at the Abu Salim prison for six years. His wife was released after a few months just before the birth of their child. The UK government were complicit in the abuse suffered by Belhaj and his wife. This abuse included kidnapping, torture and detention-without-trial. Criminal investigations were launched into this ill treatment since Blehaj’s release in 2011. 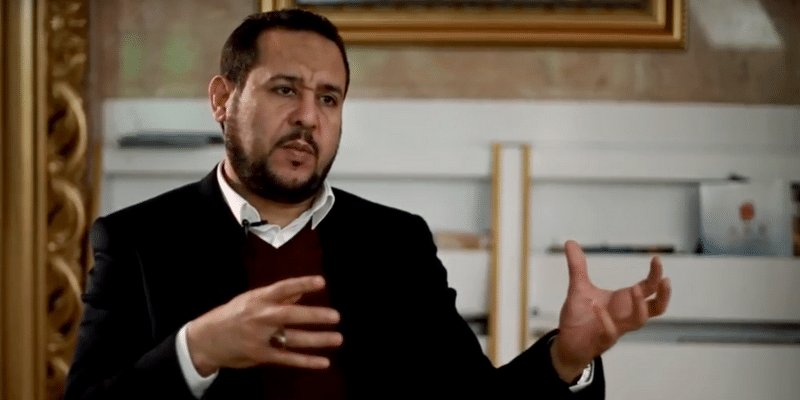 Belhaj filed a case against the British government over its role in his rendition to Libya, a country where it was known he would be tortured. Under special scrutiny was Jack Straw, foreign secretary at the time, and Tony Blair, then prime minister. However, the Crown Prosecution Service decided not to prosecute – this decision was then challenged in the High Court by judicial review. 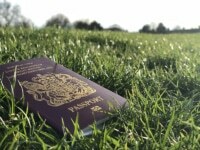 As part of the case, the Home Secretary intervened and made an application for closed material procedure (this allows the introduction of secret evidence and a hearing not in open court). The Divisional Court ruled in favour of the Home Secretary and allowed the application based on the fact that this judicial review did not concern a “criminal cause or matter”. This case goes down to a technicality in the law, centred on the question of what is or is not a criminal cause or matter; secret evidence should not be used in criminal proceedings. While this debate continues, it is an uncomfortable truth that this case may open the door for more such applications being made in cases related to the ‘War on Terror’. It is important then to understand the implications of such applications and what they really mean in court, and for the broader concern of due process. In order for a closed hearing to take place, the Defendant and Claimant require Special Advocates – these are specially vetted barristers who act only for the purpose of hearing the secret evidence. Those barristers must meet with their clients and take a full and detailed description of anything and everything they think could be relevant to the hearing. It is important to stress here that the Special Advocate does not know what the evidence against their client is until they go into the closed hearing, at which point they will no longer be able to speak with or meet their client, (in order to check something with them) or even their lawyers. Presents the evidence against their client and takes instruction on what their response to that evidence is Takes instructions from client on their whole life in the hope something they say will be relevant once they go into the closed hearing. After the hearing, discusses the case and outcome and steps going forward with the client After going into the closed hearing, doesn’t speak to the client again – doesn’t update them on the outcome, or any steps forward. Taking the case as a whole, the judge presides at the top layer having oversight of the whole case. At the second layer are the special advocates who enter closed hearings with the judge. At the third and base layer sit the accused and their lawyers and the opposing party and their lawyers – who don’t have access to the full facts of the case nor all the evidence that is being presented. This means the hearing works like a case within a case, except the decision is made and impacts on an individual without them ever knowing what it is they have alleged to have done. There is a well known legal maxim that justice must not only be done but it must be seen to be done – this is the core principle of open justice. However, in cases where the evidence is presented in secret, no one knows what the allegations are – not even the accused, leading to a two tier system of justice – one that is done in the open and one that is done in secret. Furthermore, each special advocate who engages in this process, is not upholding the basic principles of the rule of law – which arguably is the role of a lawyer. Open justice: Justice must not only be done but must be seen to be done. In closed hearings justice is never done nor is it seen to be done. The right to hear the evidence against you: With closed hearings the accused will never know what evidence will be brought against them and they will have no chance to respond to it. The right to be tried by your peers: If someone is accused of a crime they must be tried by a jury of citizens, but this is not possible in closed hearings. What is concerning in the Belhaj case, is that prior to the Court making a decision on whether or not closed material proceedings should be allowed, they themselves held a brief closed hearing. In this case, it appears the Home Secretary wants to introduce secret evidence in order to give the appearance of a sensitive national security issue, thereby justifying the torture and rendition Belhaj and his wife endured. But this inhumane treatment is never and can never be justified, no matter what the allegations against an individual. Belhaj and his wife are not seeking a huge payout for the years of suffering and the subsequent emotional trauma they endured, but they are simply seeking an apology for what was done to them with the complicity of the British. In doing so, they are seeking justice and accountability. This is something which to this date has remained elusive – torturers and those complicit in torture continue to get away with the crimes they commit, in the name of “national security”. Those Brits who were detained unlawfully in Guantanamo Bay for numerous years, have not, to this day, ever had an apology for the immeasurable destruction caused to their lives. The use of secret evidence allows individuals to dodge accountability for these crimes. More than this, creating these legal loopholes to due process has resulted in a two tier justice system. What justice can be brought to those who survive these horrific ordeals of torture and rendition, when their torturers cite national security and enter a closed hearing only to justify their actions behind closed doors? In reality there is no justification for such heinous crimes. But this clear duplicity in the legal system means that survivors of torture and abuse have no legal recourse to justice. Belhaj and his wife have not given up, and they shouldn’t. We on the other hand must recognise the institutional inequality in the legal system which allows some to evade justice while others are never able to access it. We must continue to call out this injustice and demand change. In South Africa, where secret evidence was used by the apartheid government, activists from the ANC and other anti-apartheid organisations (also termed ‘terrorists’ by the state) would simply refuse to attend their own trials, in effect boycotting the discriminatory legal system itself and creating a backlog in the system that drew international attention and criticism. Likewise, some principled barristers have refused to sign up to the special advocate scheme, due to its fundamental rule-of-law violations. Those special advocates who do prop up the system should be questioned for doing so, and the actions of the few brave lawyers who don’t, commended and emulated.